The Toronto International Film Festival (TIFF) is known in the film industry as one of the most prominent film festivals in the world. Many TIFF premiers have gone on to win Oscars, including several films that received TIFF’s People’s Choice Awards. From September 7th to 17th, Toronto’s Entertainment District will be abuzz with producers, actors and moviegoers, as they descend on the city to catch the first glimpse of some of the most anticipated films of the year. 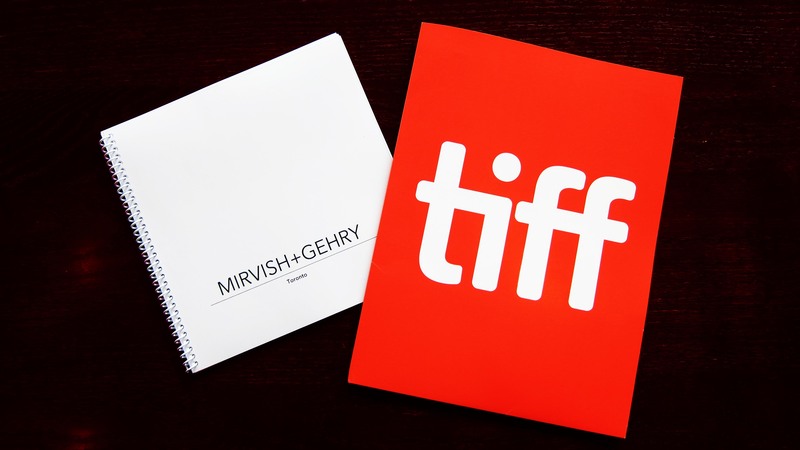 Unlike other festivals, TIFF offers a diverse selection of genres, ranging from premiers of commercial movies to unique independent foreign films, which are showcased to both filmmakers and the general public. In addition to patrons being able to star gaze during the red carpet walks, the cast of many of the films often stay for questions and answers after screenings. This gives the audience an unprecedented opportunity to learn more about their favourite films. The TIFF Bell Lightbox was completed in 2010 and since then it has added to the vibrancy of the Entertainment District. We look forward to Mirvish+Gehry being a part of the culturally rich neighbourhood. With the festival commencing next month, our team had the opportunity to speak with TIFF’s Artistic Director, Cameron Bailey. 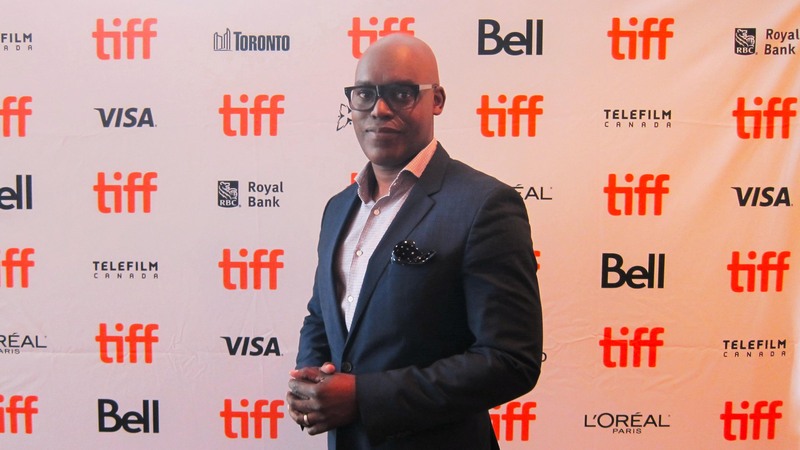 Cameron Bailey is the Artistic Director of the Toronto International Film Festival. He’s responsible for the festival’s programming and provides strategic leadership that has made TIFF a worldwide success. Mirvish+Gehry spoke with Mr. Bailey on August 22, 2017 to celebrate TIFF’s schedule launch. Mirvish+Gehry: For the Mirvish+Gehry followers who haven’t been to TIFF, what can you tell them about the experience that the festival brings to the Entertainment District? MG: In the past 10 years Toronto has had a significant amount of new developments, including the TIFF Bell Lightbox. Would you say there is a relationship between cinema and the urban landscape, in a way in which we imagine the city on film and how it is built? MG: In addition to the TIFF Bell Lightbox, Toronto’s Entertainment district is also known for its landmark theatres, including the Princess of Wales which hosts TIFF Gala screenings. Before those shows, King Street is shut down for the stars to walk the red carpet where they can interact with fans, and there is often a Q&A after the films. Can you share your favourite TIFF moment at the Princess of Wales Theatre? MG: In architecture we talk about the “Bilbao Effect” which is when an architectural design becomes the catalyst for positive economic impact in the surrounding city, most notably Frank Gehry’s Guggenheim in Bilbao. Many people may not realize that TIFF’s economic impact for Toronto’s economy is about $190 million. Similar to Bilbao, TIFF supports the arts, culture and good design which ultimately leads to positive financial impacts. Do you feel that TIFF’s example is something that other cities can learn from, and if so what can they do? CB: “Yeah, I think there’s a mutual benefit in having a cultural institution have their own real estate, their own home where they can present culture everyday of the year. So TIFF has been around for 42 years but the Lightbox is only 7 years old, and it has transformed the organization. And it’s made this a destination for audiences not just in the city but in the region and sometimes coming into Toronto to see certain series. We presented a retrospective (…) this past summer and someone flew in from Vancouver and stayed downtown in the city to watch all the films in this retrospective, it was that rare. That’s happening more and more and we know that in addition to the Lightbox and the other cultural institutions that are down in this area and media institutions like the CBC, and CTV, and the National Film Board. There is a growing up in restaurants, night clubs, hotels, all kinds of new things that didn’t exist down here before. I’m not saying that TIFF created all that but we are part of an ecosystem where you plant one important institution and the other things grow. MG: Creative and cultural programming are an integral part of Mirvish+Gehry Toronto. There will be a free art gallery that will showcase David Mirvish’s private collection as well as a campus for OCAD University. How do you see Mirvish+Gehry complementing TIFF and the surrounding Entertainment District? And is there anything that you personally look forward to in Mirvish+Gehry? MG: Toronto is a very multicultural city with over 140 languages and dialects spoken, it’s a place that many people from all over the world call home. How does this influence your selection decision for TIFF films? MG: How would you differentiate a filmgoers experience at TIFF compared to other film festivals? MG: What are you personally excited about for this year’s TIFF?